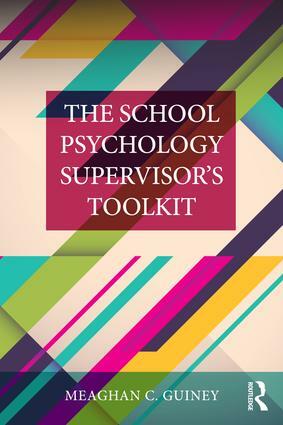 The School Psychology Supervisor’s Toolkit provides accessible, adaptable strategies for supervising school psychologists at all points in the career span, from internship to advanced practice. The book covers a full range of key considerations for effective supervision, such as building strong working relationships, planning the supervision experience, providing constructive feedback, and addressing problems of professional competence. Features such as definitions of key terms, photocopiable handouts, tips for culturally responsive practice, and real-life case examples make this a rich and easily applied resource.